"The Kübler-Ross Annihilation" is the first collaborative VHS zine produced by Hyperreal Film Club. Spanning an hour, we compiled short films based on the theme of reaction to the current political climate. A bi-weekly series that brought back to the big screen seven films by women, all released in the past five years, all featuring diverse perspectives on both sides of the camera. With this series, we hoped to progress as an advocate for the current work of adventurous, diverse filmmakers and as a community film hub for Austin. A collaborative VHS zine featuring short films on the theme of "Too Hot to Hold" featuring shorts by: Graham Cumberbatch, Beth Schindler and Lex Vaughn, Victor Vaquez, Asha Bynum, Patrick Pryor, Liz Rodda, Urzulka and Shannon Wiedemeyer, Jenni Kaye, Liz Perlman and Joey Postiglione, Meredith Jane McCarty, Christine Chen, Tanner Hadfield, Lee Moore, Brandon Porter, Hannah Dubbe and Sarah McCaskill, Charles Robertson, Erin O’Brien and more! An experiment in open source, collaborative, emergent experience, KNOWN | UNKNOWN is a wildly eclectic three days of art and conversation. This first edition of K | U is also an experiment in simultaneously generating a massive explosion and building a bottle big enough to catch it; the idea was formed on March 4 and the experience begins on March 14. Can a three-day festival be built in 10 days? We want to find out, and we want you to join us. A collaborative VHS zine featuring short films on the theme of "What's your Dream Date?" featuring shorts by: Melizard Chameleon, Jeremy von Stilb, Julia Zipporah Allen, Graham Cumberbatch, Trevor Lewis Rieck, Morgan Shelburne, Skene Milne, Chris Dock, Montsho Jarreau Thoth, Joey Postiglione, Rachel Stuckey, David McMichael, June Chee, Patches Thefox, Samual Akrom, Mimi Bowman, Jenni Kaye, Aubrey McDonald, Lolito and Pia Toribio, Grant Ring, Meredith Jane McCarty, Faiza Kracheni, Michael P Roller, Ash Enrici, Zach Gieske, Amelia Jamison, Magda Mankel, Ryan Lewis and Hobbes, Hannah Dubbe, Sarah McCaskill, and Tanner Hadfield. 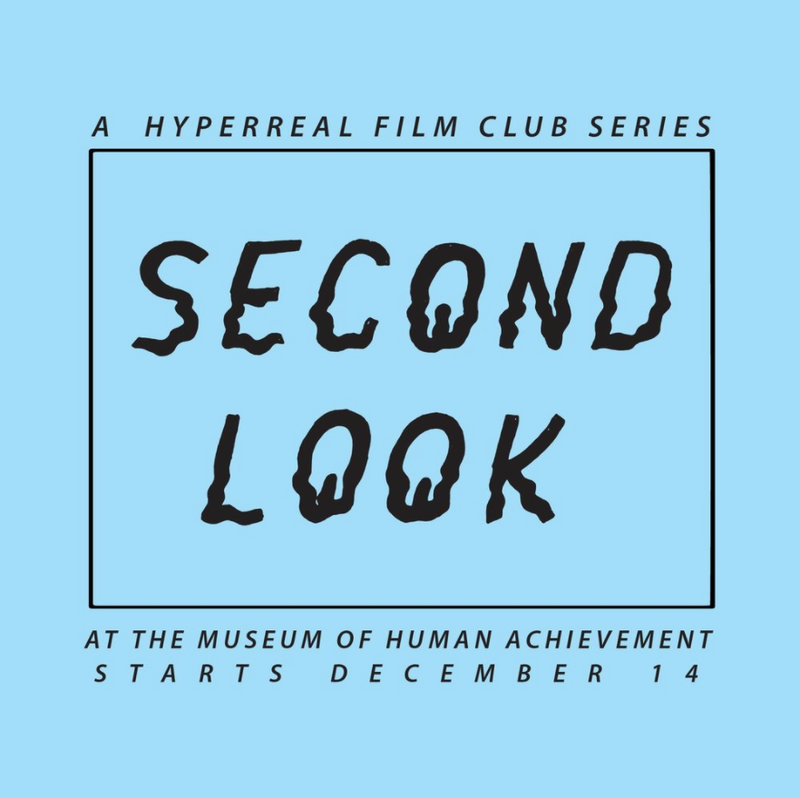 Every week during Summer 2017 at the Museum of Human Achievement we explored the far reaches of weird, beautiful and forgotten cinema from a host of diverse filmmakers. Alongside each film, all screenings featured some combination of short films by local filmmakers, sets by local musicians or visual artists, directors visits, or other interactive installations. A collaborative VHS zine featuring short films on one of three themes: Origin, Apocalypse, or Redemption. Featuring works by: David McMichael, Alessia Cecchet, Lauren Bruno, Neil Lord, Jenni Kaye, Alex Huninghake, Chris Dock, Raphael Umscheid, Matthew Wallen, John Marshall Fox, Michael P Roller, Patrick Pryor, Lee Moore, Daniel Kliewer, Mitchell E. F. Lamon, Jason Cates, Owen Schwartzbard, Deirdre Smith, Michael e Stephen, Hannah Dubbe, Ben Weaver, Julia Zipporah, Kat Albert, Magda Mankel, Sean Lopez, Akayla Lewis, James Gogolski, Tanner Hadfield & Melissa Bla.